This rug is a new design from my studio. 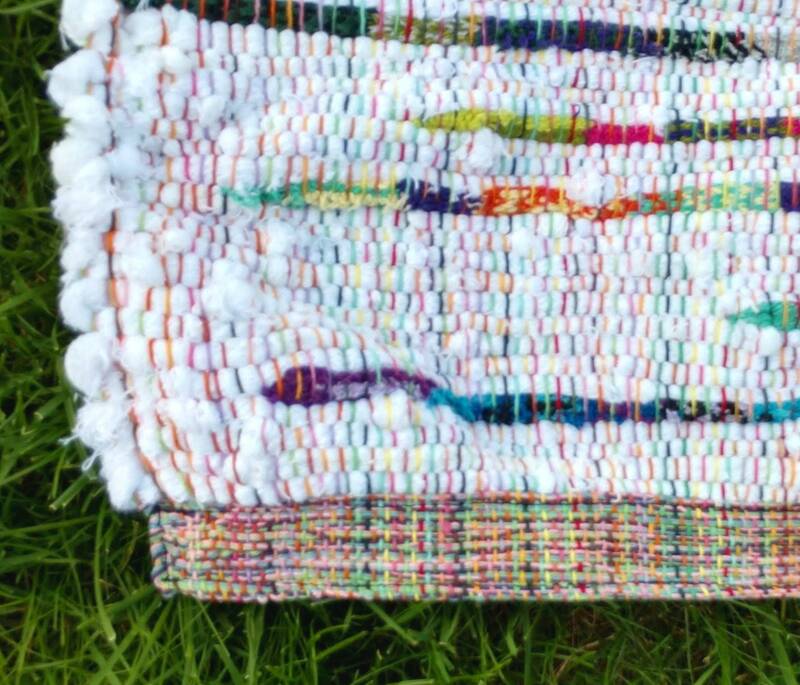 It's a traditional rag rug, but with a little ZING with the colors! Invited to a baby shower? Need a gift for a new arrival? 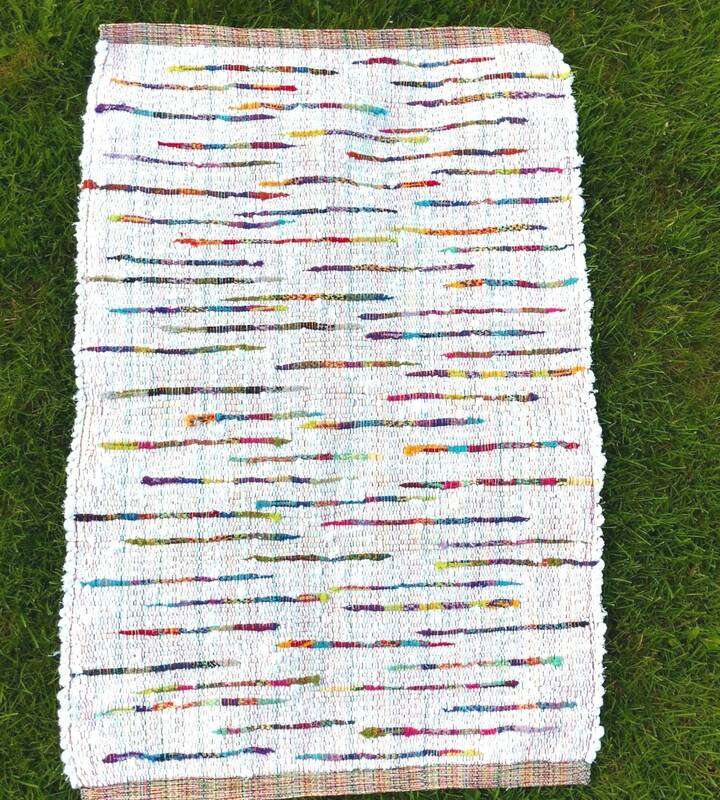 Well, this rug is such a wonderful unique gift for a baby nursery! Not like the common items that every mom-to-be gets at the shower tenfold. 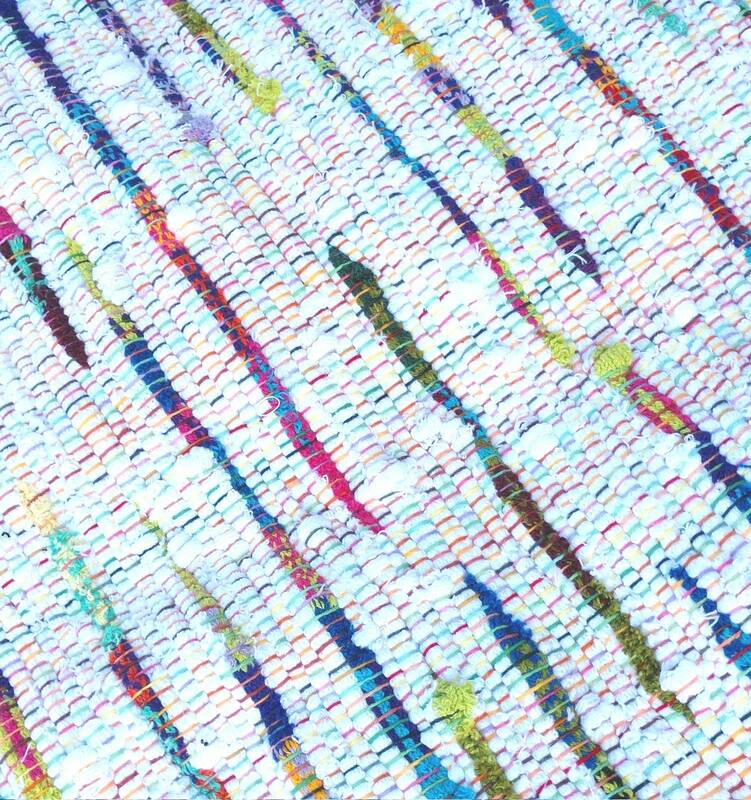 This rug is very unusual and will go along with most any nursery decor. Pair it up with the book The Very Hungry Caterpillar and you will have a winner of a gift! 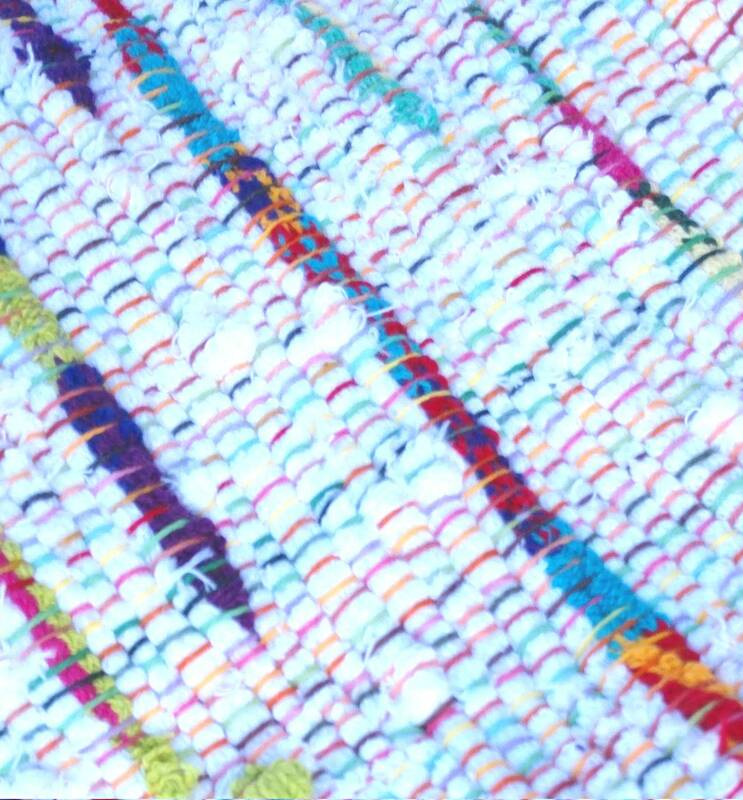 Wonderful and unusual, this rug was designed and handwoven on my 60+ year-old rug loom. 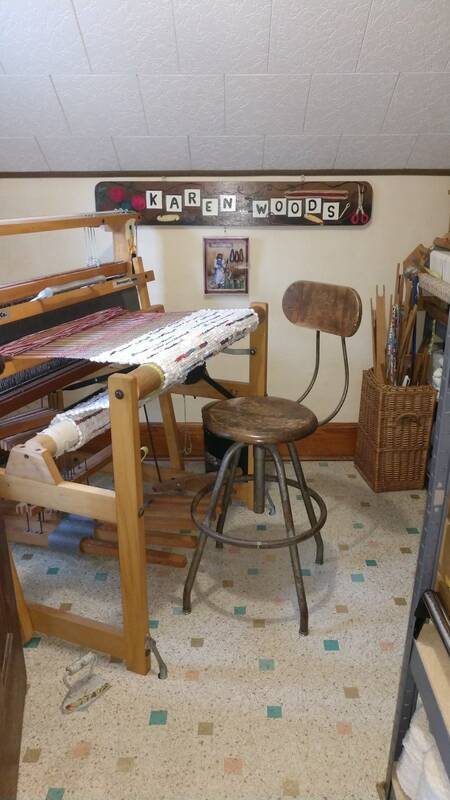 My studio is hidden away in a log cabin along a river in the Northwoods of Wisconsin. 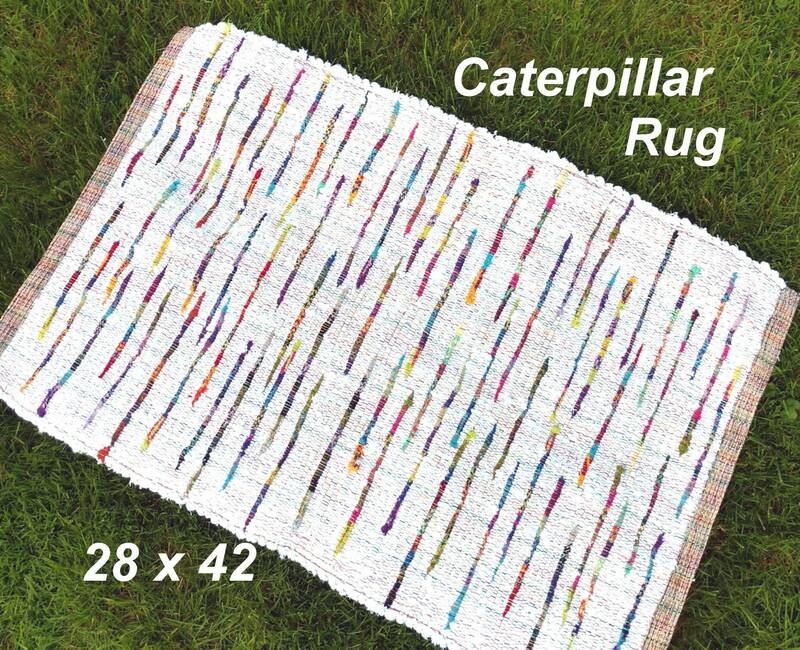 This is a very interesting design with new heavy cotton chained looper fabric, woven with inserts of colorful knit "caterpillars" that are all from factory surplus materials. Recycling at it's finest! 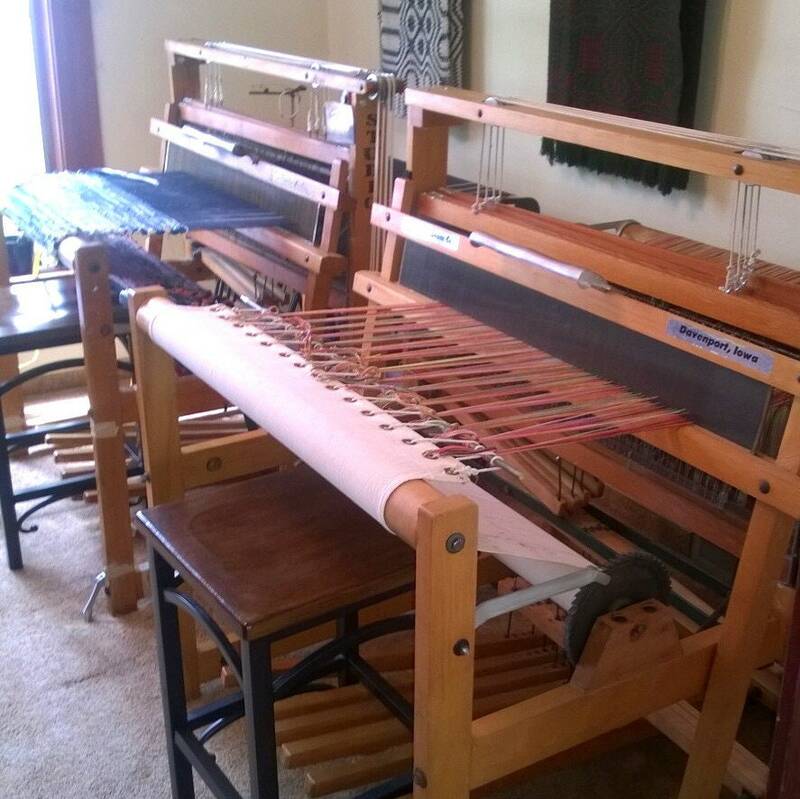 You are getting a great rug, and keeping a pile of factory textiles from cluttering up the landfills. Colorful triple folded hems, sewn on all four sides to let them lay flatter on the floor and more appealing to the eye. Washes well in gentle cycle and hang over porch railing or bathtub to dry. Custom made artistic textile that could be used as a wall hanging or accent piece in many decor styles. Shipped from zip 53014. Shipping rate given is approximate US Parcel Post rate. The exact shipping charges will be calculated once I receive your zip code. I use the US Postal Service, either Parcel Post or Priority Mail if you prefer. I only charge exact shipping costs, no hidden excess fees for handling. If requested, I will add insurance and I recommend Delivery Confirmation be added to all shipments. I AM WILLING TO SHIP INTERNATIONALLY IF YOU CONTACT ME IN ADVANCE WITH SPECIFIC COUNTRY TO DETERMINE SHIPPING CHARGES.